Analysis Plus Genesis Pure Instrument Cable Straight to Angle 12 ft. 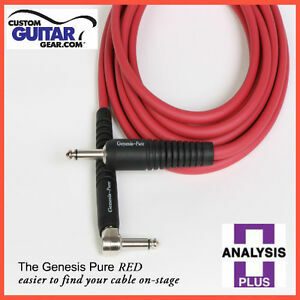 Analysis Plus Stage Red Genesis Pure Instrument Cable Straight to Angle 12 ft. It uses their patented hollow oval woven design for great sound and performance. In the beginning Sound was created and it was Pure. Genesis-Pure takes you back to the beginning and transforms is voice to pure sound.